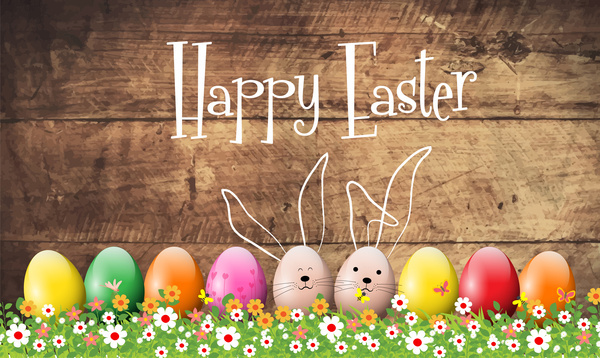 Easter is a festival observed by Christians in celebration and remembrance of Jesus Christ’s rising from the dead three days after his crucifixion. Recognized as the most significant and joyous event in Christian worship, Easter is also known as Resurrection Day or Resurrection Sunday and signals the conclusion of Lent, a 40-day period characterized by abstinence, prayer, repentance, and spiritual reflection. Forget about the Easter Bunny. 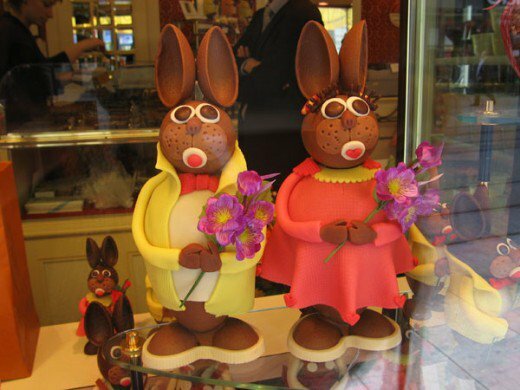 Parents in France tell their children that Easter eggs come from Easter Bells. Churches all over France keep their bells silent starting Maundy Thursday and only ring them again on Easter morning. 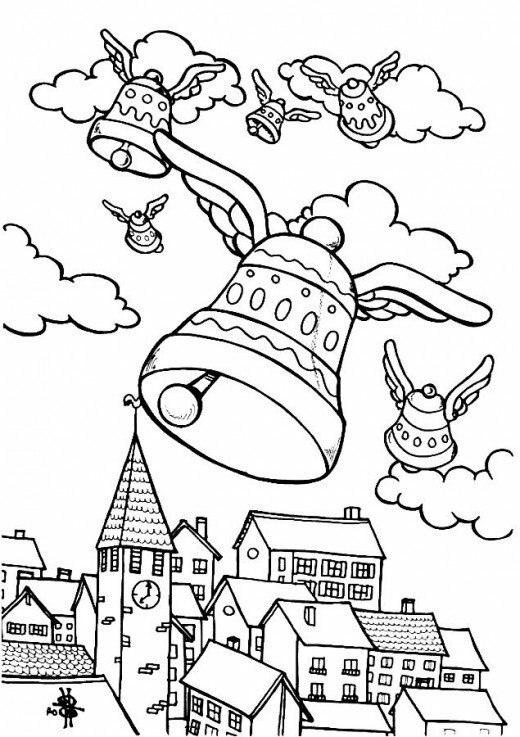 As a way of explaining the bells’ silence, the French say that the bells fly to Rome to meet with the Pope and then return to France on Easter, bringing with them painted eggs and chocolates. Painting Easter eggs and … whipping girls? 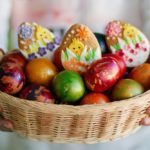 Czech Republic has what can certainly be counted among the most unusual Easter traditions in the world. Czechs refer to Easter Monday as “Whipping Monday” because, on that day, it is customary for boys to slightly tap girls using willow twigs braided to form a whip known as “pomlázka.” No harm is intended though. The practice is purely symbolic for it is believed that the twigs would bestow on those whipped lasting youth and wellbeing. To show their appreciation, the girls present the boys responsible for hitting them with Easter eggs. In Ethiopia, the Easter festival is called “Fasika” and is the culmination of a fasting period that has Ethiopian Christians abstaining from meat and dairy products for eight weeks. 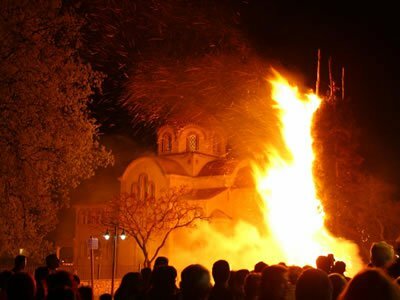 The eve of Easter Sunday finds them in church, keeping vigil and participating in an overnight service that lasts until three in the morning. Once the service is over, they make their way home and mark the start of Easter celebration by putting an end to their fasting. Brazil is renowned for its carnivals, so it’s no surprise that its Easter celebration is one of the merriest in the world. 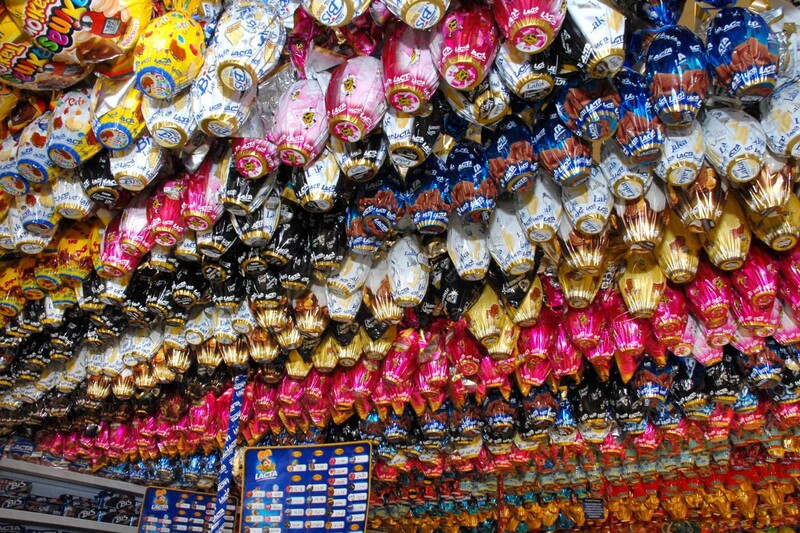 Shops selling chocolates and other Easter products line the streets, while fiestas and other types of festivities are held in various towns all over the country. The people in Brazil also take part in the ritual known as the “ malhação do judas,” which involves hanging and burning an effigy of the treacherous apostle. Of the many Easter traditions observed worldwide, the Easter Bunny is one that enjoys immense popularity and appeal. It traces its origins to Germany, where the story of the egg-laying rabbit or the “osterhase” started. 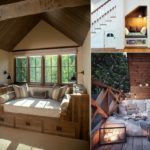 Besides being the birthplace of the Easter Bunny,Germany is also known for its custom of using old Christmas trees to make the Easter Fire as a way of bidding goodbye to winter and welcoming spring. Kite flying is a popular Easter custom in Guyana and is believed to symbolize Christ’s resurrection and ascension to heaven. 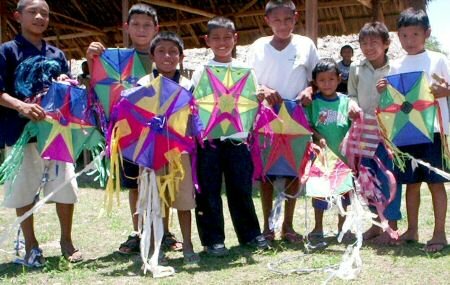 The Guyanese start flying kites in the weeks leading to Easter, with the grand finish occurring on Easter Monday. On that day, people wielding kites of various shapes and colors can be seen along the coastland, which is also the favorite spot of many spectators and picnickers. Easter in Israel is an intensely religious event, with devotees from different parts of the globe embarking on a pilgrimage to the holy city of Jerusalem and visiting historic sites like the tomb of Jesus Christ. They also participate in group processions that follow the Twelve Stations of the Cross or the route Jesus took when he made his way to Golgotha. Like in most countries, Easter in Lebanon is closely associated with food. One traditional delicacy prepared for Easter is maamoul, a type of cake or shortbread made with semolina, filled with walnuts or dates, and topped with icing sugar. The Lebanese treat the making of maamoul as a family affair, with family members dividing the different tasks involved in preparing the parts of the cake among themselves. For men who dislike helping in the kitchen, spending Easter in Poland should be a welcome experience. Legend has it that if the man of the house were to assist in the making of “paska” or Easter bread, the dough would not rise and his moustache (if he has one) would turn gray; thus, he is dissuaded from helping. Also splashing water on one another is another Polish Easter tradition called Smingus-Dyngus. Another unusual Easter tradition—one that can get a person wondering if it’s actually Halloween—is practiced in Sweden. 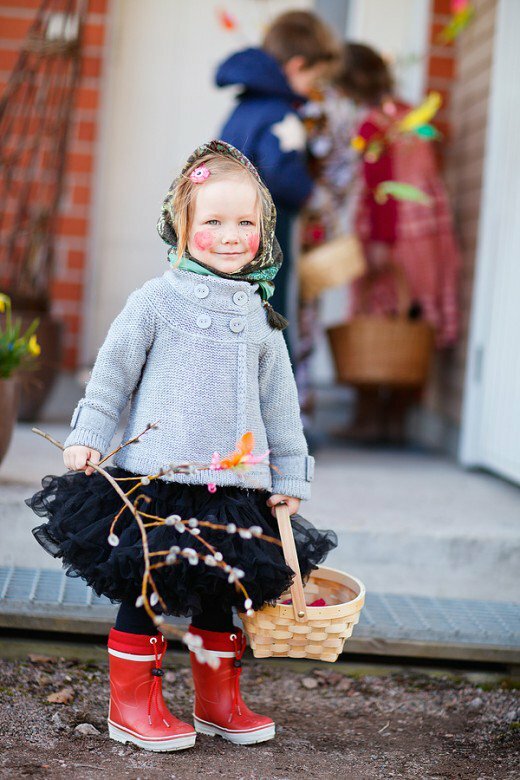 Springing from the old belief that witches are active during Holy Week and that they get together with the Devil at a place called “blåkulla” on Maundy Thursday, Swede kids dress up as Easter witches and go around seeking treats from their neighbors. In Switzerland, the magical egg-laying rabbit doesn’t receive much love as an Easter tradition. 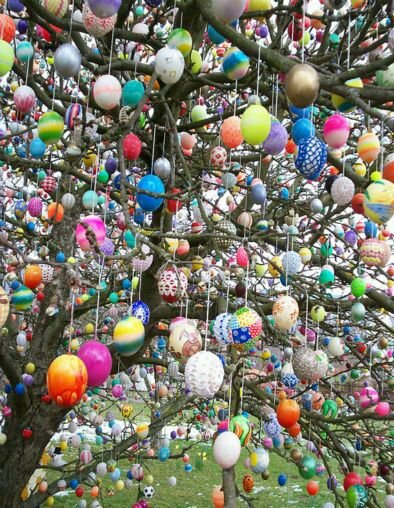 Instead of the Easter Bunny, the Easter Cuckoo is credited by the Swiss for bringing the colorful Easter eggs. Chocolate bunnies, however, are sold in most stores along with traditional Easter cakes, dyed eggs, and, of course, chocolate cuckoos. 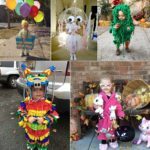 Parades and egg rolling are just two of the many activities that make up the Easter celebration in the U.S.Every year, people in New York and other American cities participate in grand Easter parades while decked out in brand-new and stylish (or wacky, in some cases) outfits. 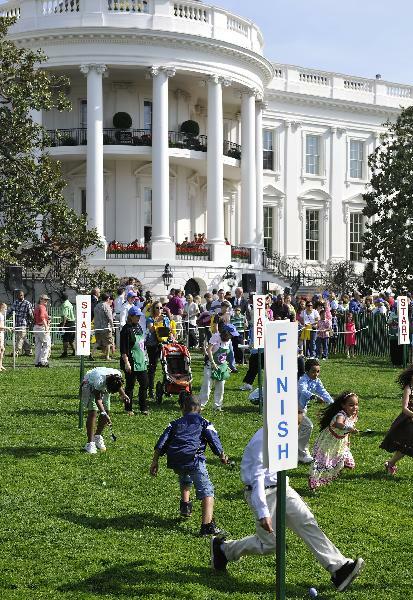 Also an annual event, the White House Easter Egg Roll held on Easter Monday has been a tradition since 1878 when President Rutherford B. Hayes first offered the use of the South Lawn to children and their families. 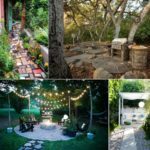 There are many more intriguing Easter customs all over the world, and while they may differ from country to country, culture to culture, they share the same atmosphere of joy. Easter, whether celebrated as a spiritual or commercial festival, is a time for rejoicing, feasting, and new beginnings. Hence, take your cue from children and allow yourself to enjoy a day of delicious food and fun games with the people important to you.